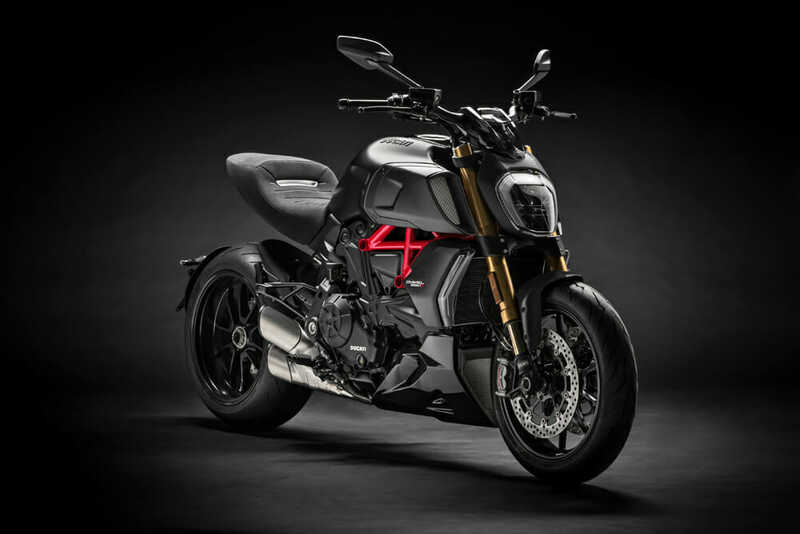 The Ducati Diavel 1260 is expected in North American Ducati dealerships in April. Borgo Panigale, Bologna (January 21, 2019) – The Borgo Panigale plant has begun producing the new Diavel 1260. The first bike rolled off the line on Monday 21 January and, as is the tradition, was greeted by the entire factory with a toast and an official speech by CEO Claudio Domenicali and Production Manager Silvano Fini. Ducati MotoGP rider Andrea Dovizioso and the Ducati Diavel 1260R. The Diavel 1260 – the second generation of this unique bike – has more assertive lines and higher performance, is more fun on mixed-road routes and even more comfortable for rider and passenger alike. Its sport naked soul is magnified by a Testastretta DVT 1262 engine that combines breath-taking acceleration with the smooth low-rev power delivery that’s ideal for everyday rides or longer-lasting tours. An upgraded chassis set-up makes the Diavel 1260 surprisingly agile while top-drawer technology and electronics provide braking performance on a par with that of a superbike (and does so safely, thanks to Bosch Cornering ABS) and user-friendly engine performance control. Comfort levels for rider and passenger remain outstanding thanks to an upright riding position, a large, generously padded seat and another Diavel hallmark, the 17-inch rear wheel with its 240mm wide tire. 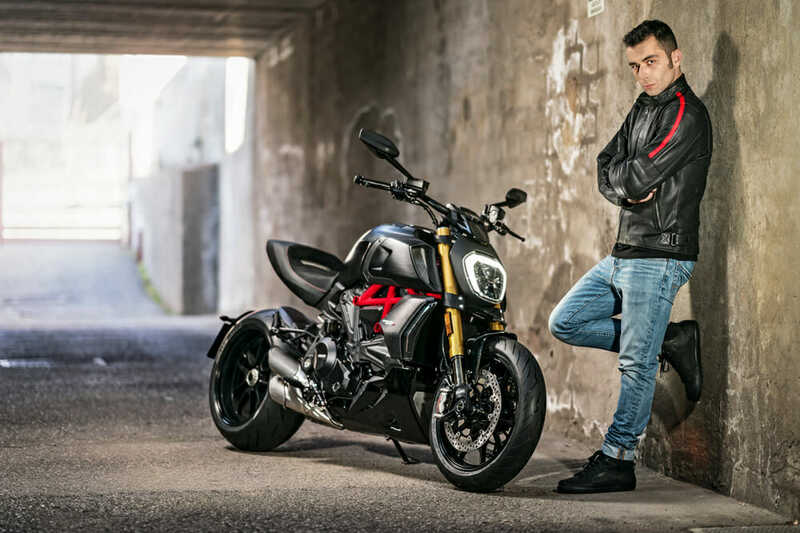 Ducati MotoGP rider Danilo Petrucci and the Ducati Diavel 1260R.